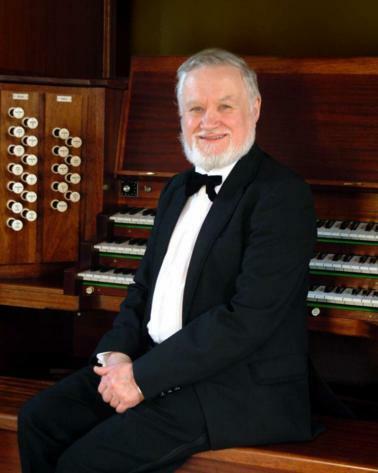 Roger Fisher took early retirement from Chester Cathedral in 1996 to concentrate on a career as a recitalist, teacher and adviser on organ construction. From January 1997 until the end of 2004 he was Features Editor of Organists’ Review. He has concentrated on frequent extensive recital tours of Europe, Scandinavia, North America, and South Africa. Born in Woodford, Essex, he was educated at Bancroft’s School and studied at the Royal College of Music with Dr Harold Darke and Prof. Herbert Howells, gaining his ARCM, FRCO and CHM diplomas and winning the Geoffrey Tankard Prize for Organ playing. In 1959 he became Organ Scholar at Christ Church, Oxford and studied with Dr Sydney Watson, Dr Bernard Rose and Dr H. Kennedy Andrews. During his student years he was Organist of St Mark’s, Regent’s Park in London. He became Assistant Organist of Hereford Cathedral in 1962, and Assistant Lecturer in Music at Hereford College of Education in 1963. During this period he studied the piano with Professor Claud Biggs and acted as an assistant chorus master, organ soloist, and accompanist for The Three Choirs Festival. 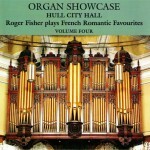 Upon completion of the rebuilt organ in 1970 at Chester , he embarked on the first of many BBC broadcasts and numerous recordings (including several for EMI, Decca and RCA) which have had world-wide sales (The Great Cathedral Organs series, including Roger’s recording at Chester, have just been re-issued on CD in a boxed set, by EMI). In the last 15 years, or so, many of his CDs have appeared on the AMPHION label, but he has also recorded for a number of other companies, not only in the United Kingdom, but also in the USA, South Africa and Germany. As a pianist, he has collaborated with Gordon Pullin in an 8 CD set of The English Tenor Repertoire, CDs entitled Johannes Brahms – The Final Works, Songs of Paradise (poems by Christina Rossetti) and A Sterndale-Bennett Recital. He has frequently been asked to act as organ adviser to churches, chapels and cathedrals and has also advised on organ projects in colleges and concert halls. He tours frequently and extensively as a recitalist in Europe, Scandinavia and North America, visiting Australia also in autumn 2004 and South Africa in 2002, 2005 and 2007. He has a wide repertoire and specialises in the music of Bach and of the Romantic Era. He is a keen pianist and gives piano recitals and concerto performances when time permits. His books Master Class with Roger Fisher and Towards keyboard fluency giving practical advice to pianists and organists, have recently been published by animus.